The Thinking Behind Natures Children. At Natures Children, we think that children should not be exposed to too many manmade chemicals found in the toiletries of today. 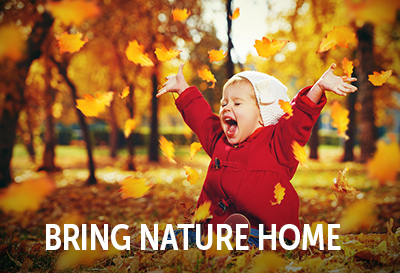 Rather, caring parents should use and buy products as near to nature as possible. This means more products with their basis in vegetable oils, essential oils, natural waxes, and ferments. Natures Children is specifically designed for immature skin which is very different to adult skin. Infant and children’s skin is always developing and lacks many of the defence and other systems found in adults. It needs more moisture. Infant skin is found to have higher water content and is able to absorb more water and lose excess water faster than adult skin. Drying detergents and cleansing products should be avoided which is why Natures Children is so very different in its cleansing products. According to the World Health Organisation due to their dynamic developmental physiology children are often subjected to higher exposures to pollutants found in air, water and food. These exposures may be handled quite differently by an immature set of systems to the way they are dealt with in adults. Furthermore, the developmental component of a child’s physiology is changing: maturing, differentiating and growing in phases known as "developmental windows". These "critical windows of vulnerability" have no parallel in adult physiology and create unique risks for children exposed to hazards that can alter normal function and structure. When it comes to pollution even just being little can present unexpected hazards. Measurements inside homes following pesticide or disinfectant applications find that concentrations are always highest closest to the floor, where children live. Because children breathe more air, and the air is more heavily contaminated in their living zone due to patterns of evaporation (re-volatilization) after applications to flooring, they are exposed to more contaminant than are adults. Children breathe more air per kilogram of body weight than adults at rest. An infant has three times the minute ventilation of an adult and a 6-year-old has double. Children also tend to be more physically active than adults. It is clear therefore, that environmental toxicants found in the air, both indoors and outdoors, will be delivered to children at higher internal doses than to adults. Hence more sniffles and blocked noses. Natures Children is a range born of Nature from our natural environment to make life pleasant and enjoyable from the baby bath to the blocked nose or dry skin. Natures Children do not use Genetically Modified (GM) substances. Arguments exist on both sides and issues are raised from health to politics. Our opposition is more fundamental. Mankind has been modifying plants and crops for as long as man has existed. Grasses have been by careful plant breeding and crossing turned into cereal crops like barley and wheat. The hedgerow five petalled rose has been turned into a luxury flower of a multitude of petals. Gains and losses have been made. Many hybrids, plants that cannot pass on life or breed have great nutrient or decorative benefit but these modifications are not what GM is all about despite the proponents trying to say that it is. Evolution has shown and demonstrated rigid barriers exist between genus or family and species. Tomatoes, members of the solanum family can be crossed with other members of the same species but will not naturally cross the barrier say to the allium or onion family. You cannot in nature cross an onion with a tomato, nature simply does not allow it. Now days science can add say a gene from a fish and add it to a vegetable seed to make a more ‘nutritious’ oil. That is now possible. So why did evolution after millions of years of development not allow this. Science does but nature still does not. We do not know why but no doubt experience will tell us and probably too late. Great apes are primates belonging to the family Hominidae. Men and women belong to the same group of hominids but are a different species to gorillas. Do they cross naturally no. GM makes many strange but unnatural things possible. Fragrant Earth our parent company will always err on the side of caution and says no to GM. Organic materials are different to conventionally grown high input chemically farmed produce. Where ever possible Natures Children, as does Fragrant Earth our parent Company chooses to use certified organic materials. This choice is to support the organic movement which promotes sustainable agriculture. The term “organic” refers to the way agricultural products are grown and processed. Specific requirements must be met and maintained in order for products to be labelled as "organic." Organic crops must be grown in safe, clean or biologically active soil, have no modifications, and must remain separate from conventional products. Farmers are not allowed to use synthetic pesticides or herbicides, bioengineered genes (GMOs), petroleum-based fertilizers, and sewage sludge-based fertilizers. Children are most vulnerable to pesticide or herbicide exposure because their immune systems, bodies, and brains are still developing. Exposure at an early age can cause developmental delays, behavioural disorders, and motor dysfunction. Your choice – our choice for Natures Children.